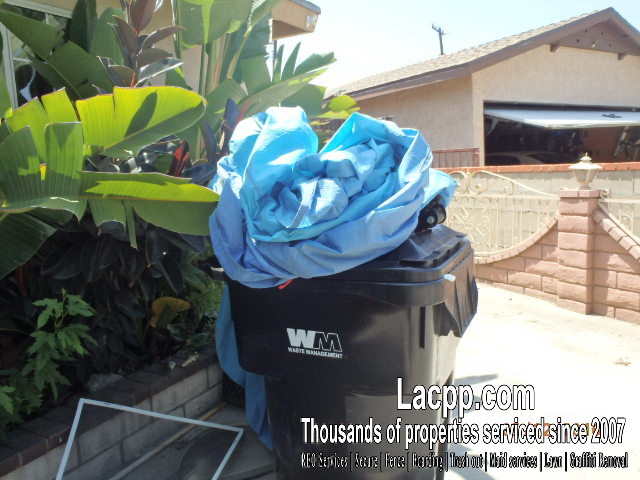 Are you a broker in need to clean up a foreclosed property? 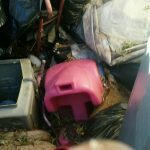 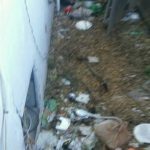 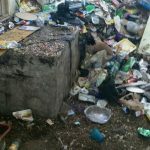 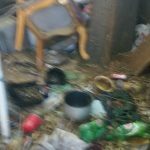 Is the property full of unwanted junk and furniture? 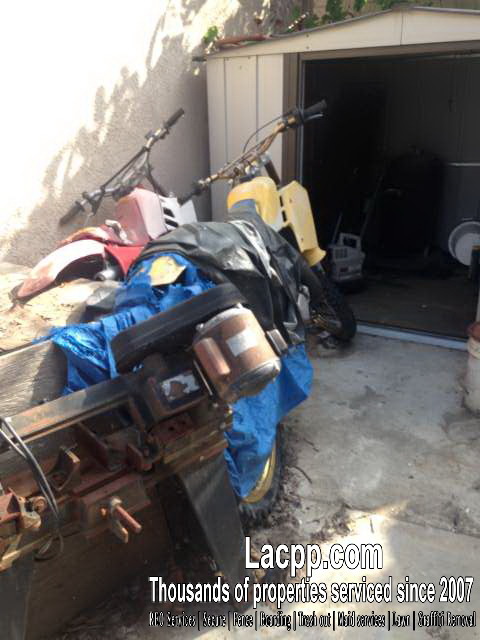 Located in Carson or Greater Area of Los Angeles? 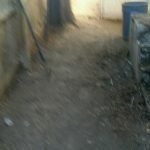 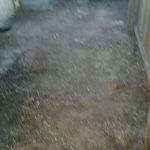 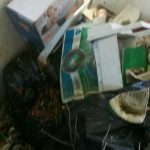 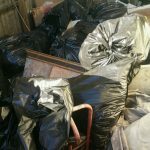 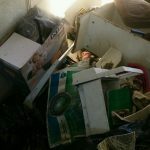 We are a team of junk removal experts that can get your REO property cleaned up and ready for sale. 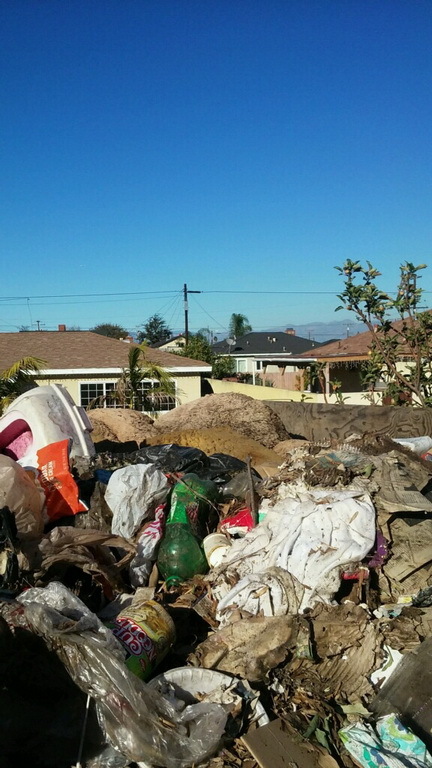 No need to have a house out of the market due to some trash. 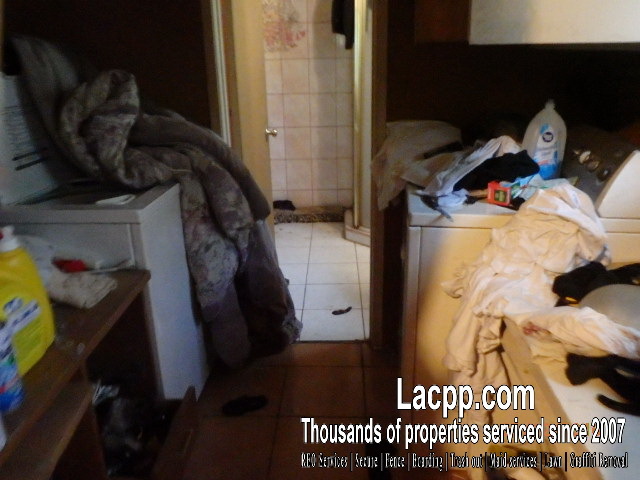 Clean out the property to list it today. 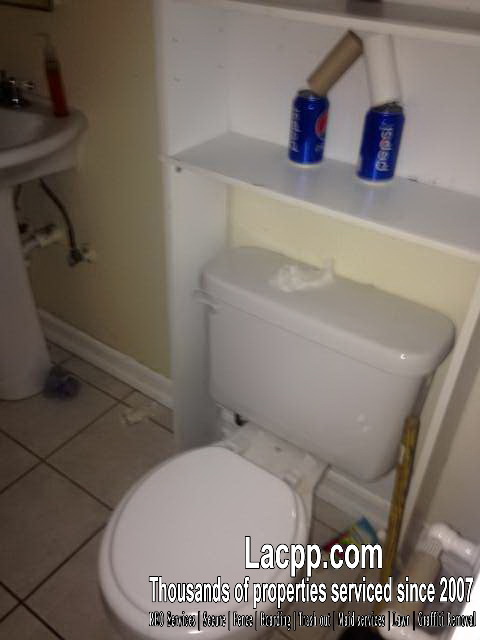 We understand it can get a bit tough to clean if you were to do it on your own. 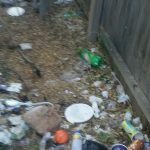 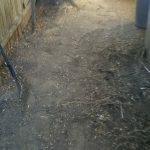 There is no need to stress about this mess anymore and allow our team to do the clean-up for you. 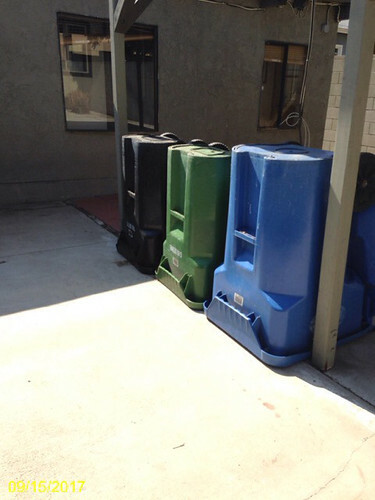 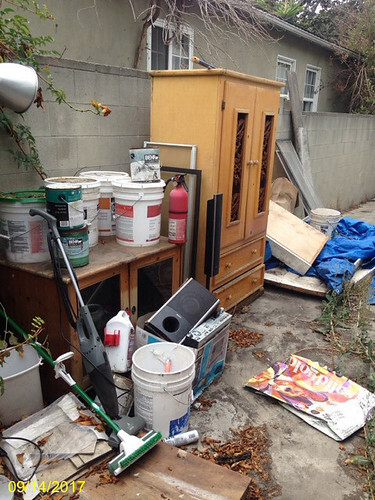 Cleaning up the entire place should be an easy task for our team of junk removal experts. 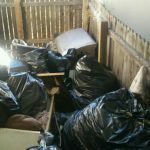 We are able to take off all of the wires that are still hanging on the walls, thoroughly clean the home, and dispose of any unwanted trash. 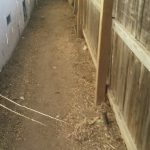 We are also able to do the boarding and fencing for you. 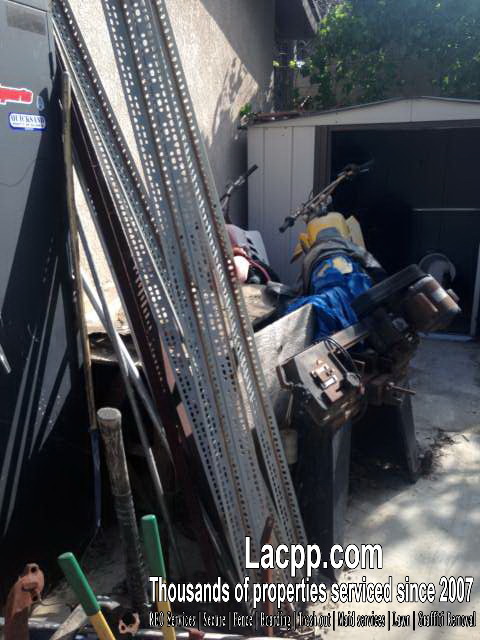 Our team has all the proper tools to assemble a fence or board up your windows. 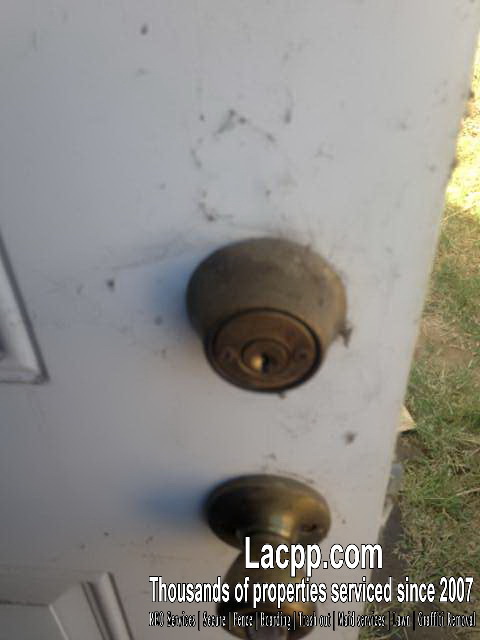 We have encountered many homes that have gotten broken in to because of the security. 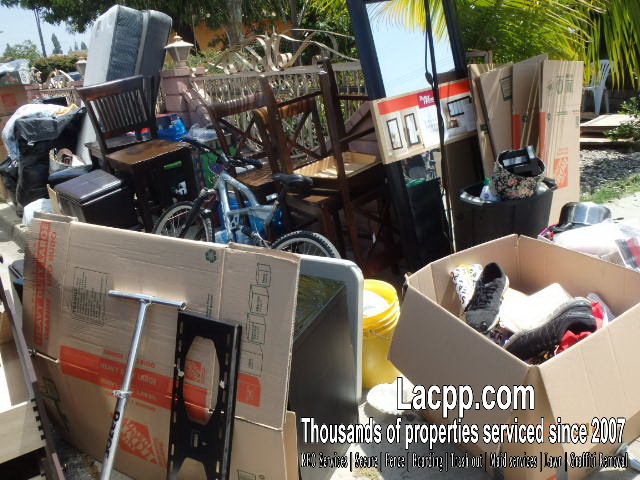 There is no need for squatters to vandalize the property anymore, so allow us to make the change. 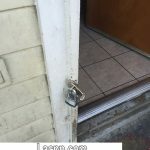 We will make sure the property is left locked up and ready for sale. 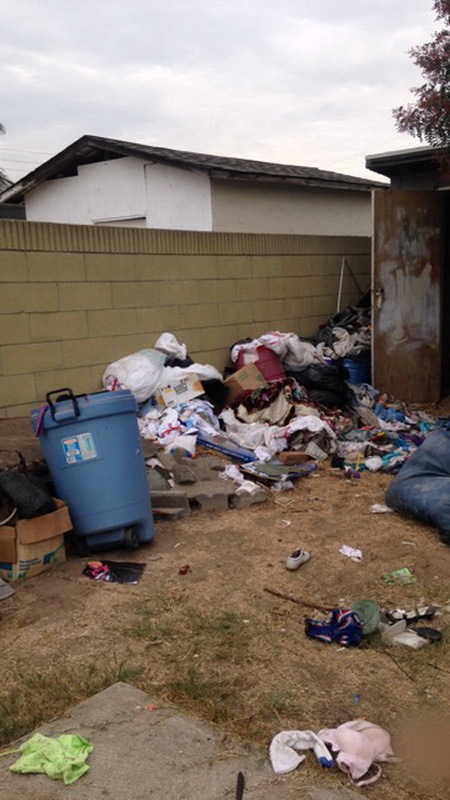 Our team is properly trained to remove any unwanted. 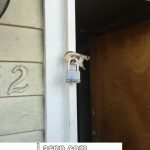 trespassers that are in the home. 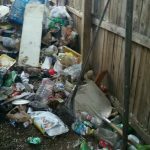 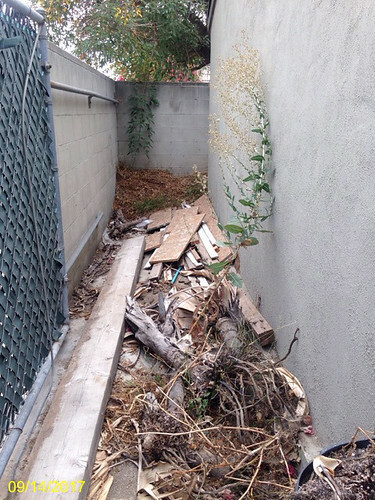 For more information for our team to clean up, board up, and fence up your foreclosed home today please Call (213) 804-7437. 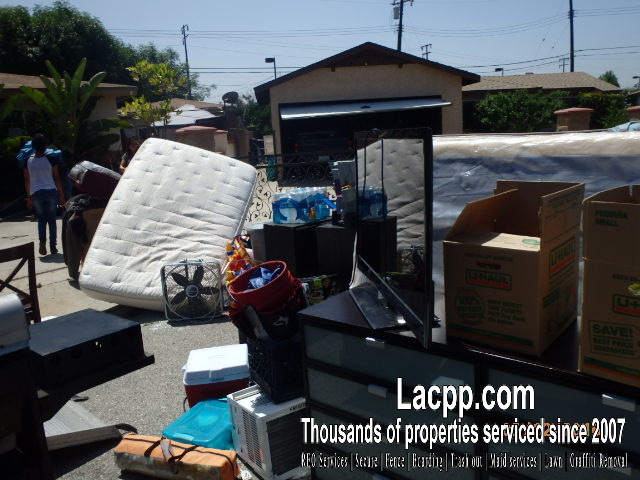 We at Los Angeles County Property Preservations have completed thousands of evictions for clients in Greater Los Angeles. 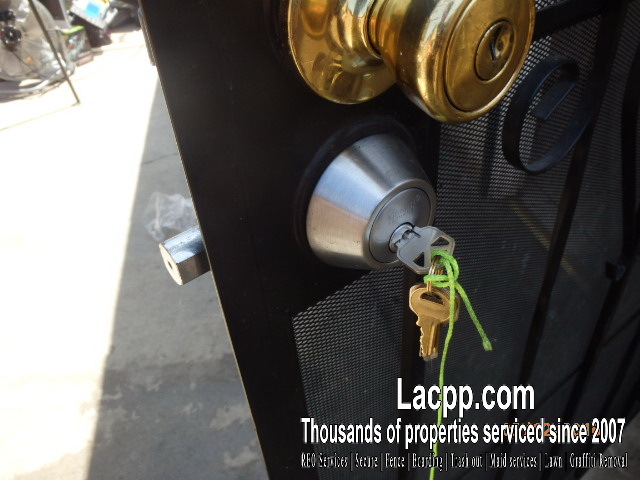 We recently completed three evictions for three different clients in one day. 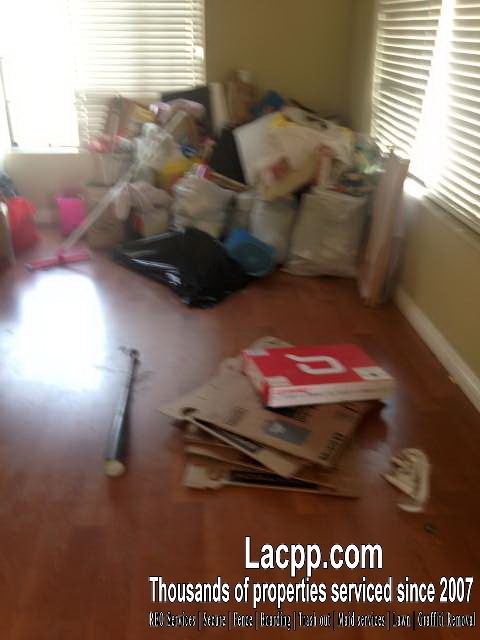 The most evictions we have completed in one day are 5 evictions. 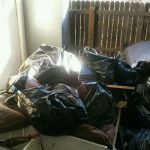 Completing multiple evictions in one day is stressful. 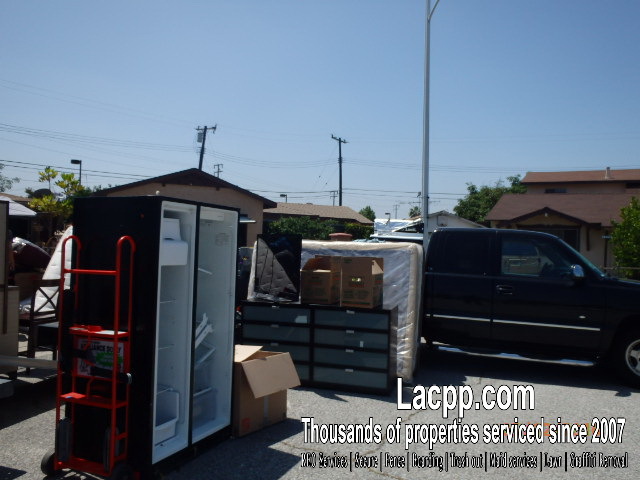 Moving between properties is challenging in Los Angeles traffic. 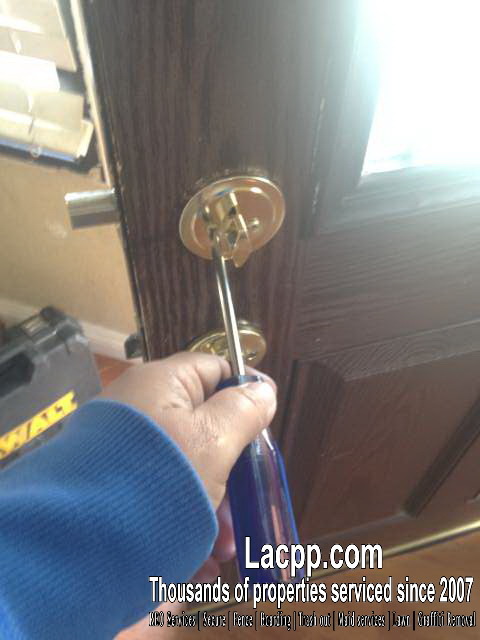 However, we are dedicated to servicing our clients. 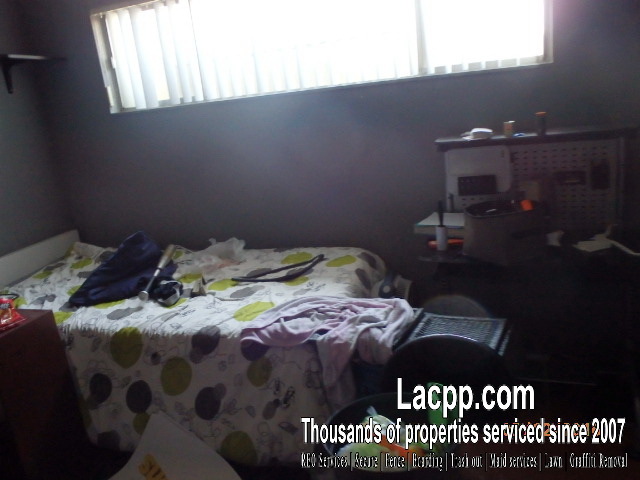 Los Angeles County Property Preservations are thoroughly familiar with the eviction procedure of Los Angeles Sheriff. 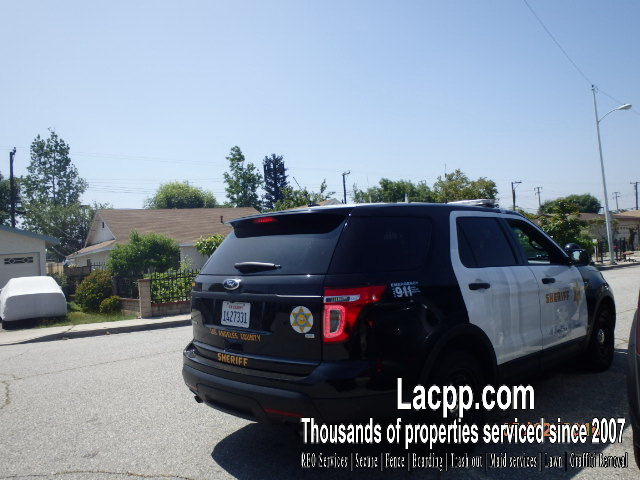 We are on first name basis with most Sheriffs in Los Angeles, South Bay and San Fernando Valley. 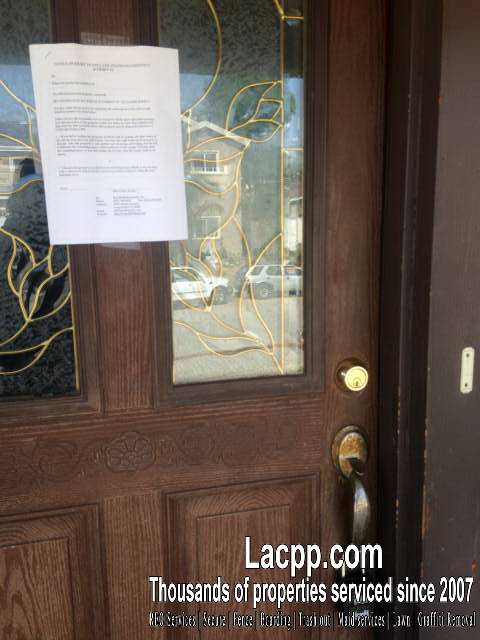 We completed the biggest eviction in California history. 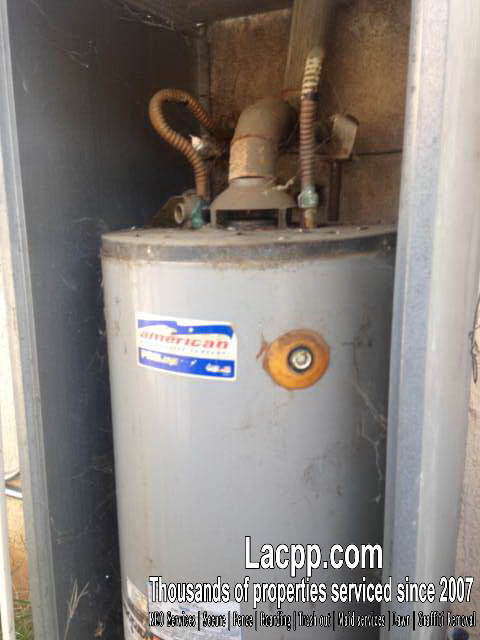 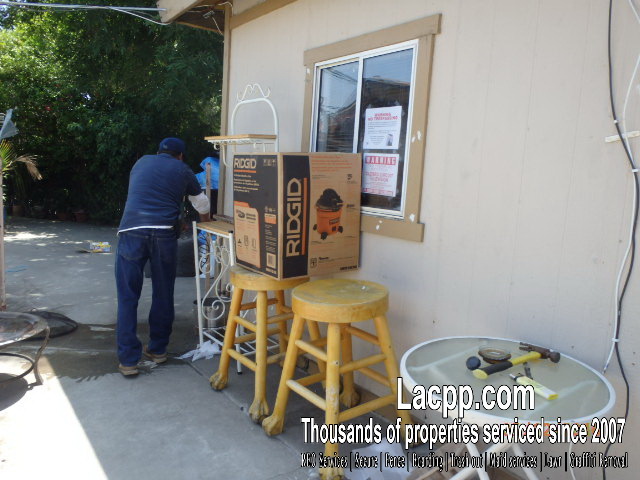 LACPP follow all safety rules and procedures. 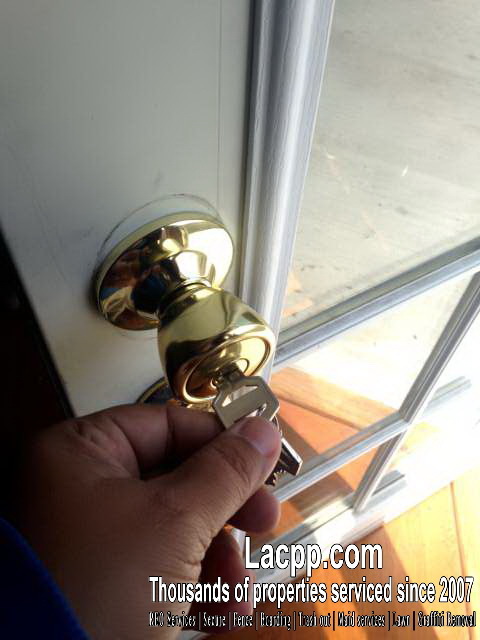 For safety, it is very important not to approach the property until the Sheriffs arrive. 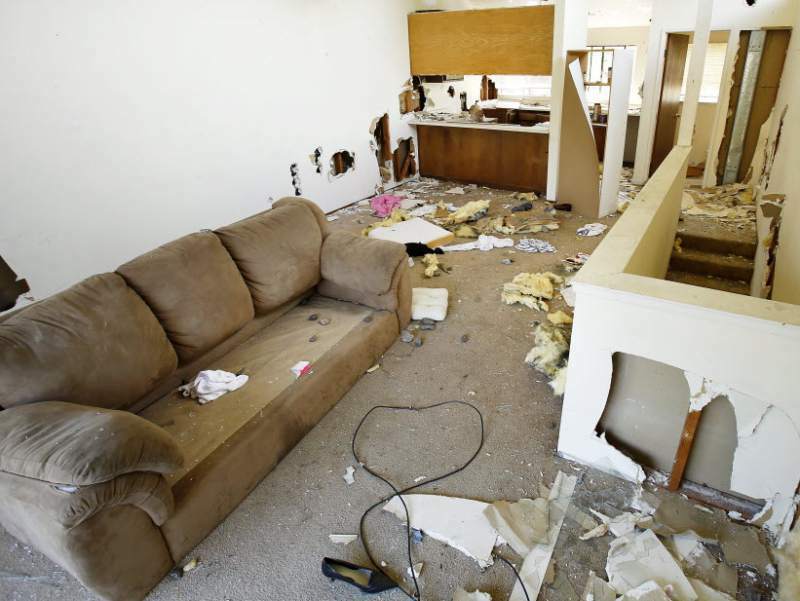 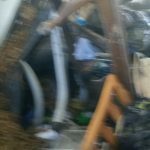 Occupants may not want to leave the property and may be vengeful against the bank and asset company. 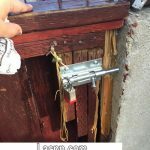 Occupants may be armed and possess drugs. 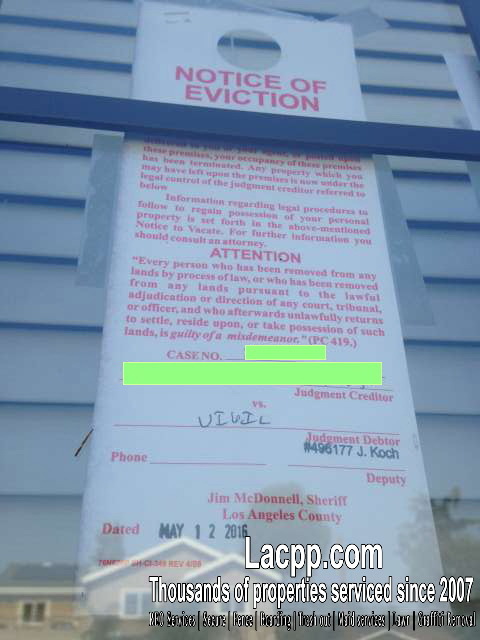 The Sheriffs has a window of up to one hour to arrive at the eviction. 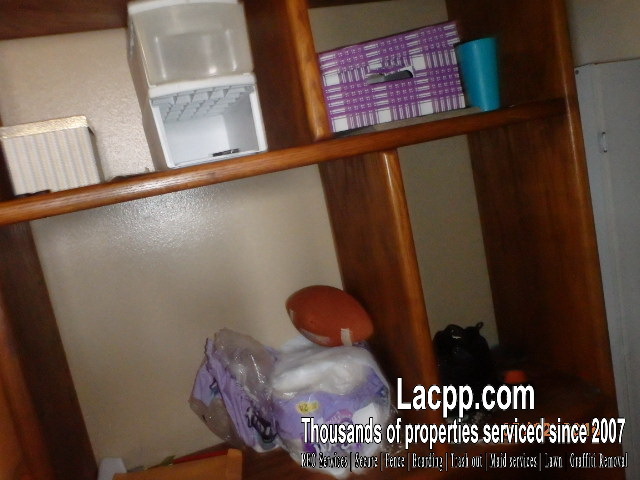 After waiting for one hour, LACPP call the Sheriff office and ask for update – ETA. 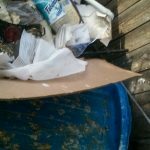 We ended up waiting for the Sheriff for a total of 3 hours. 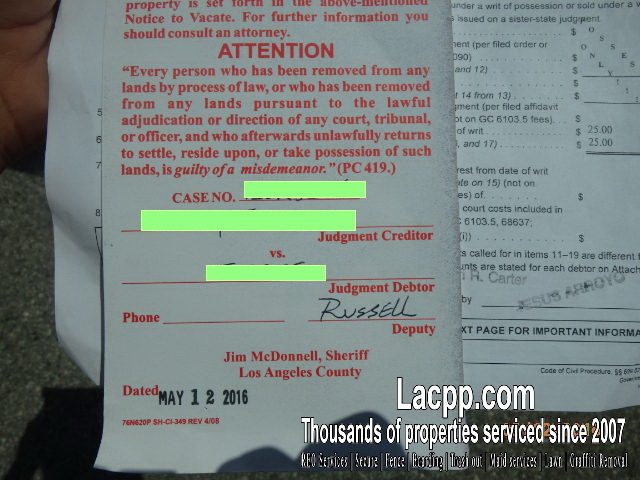 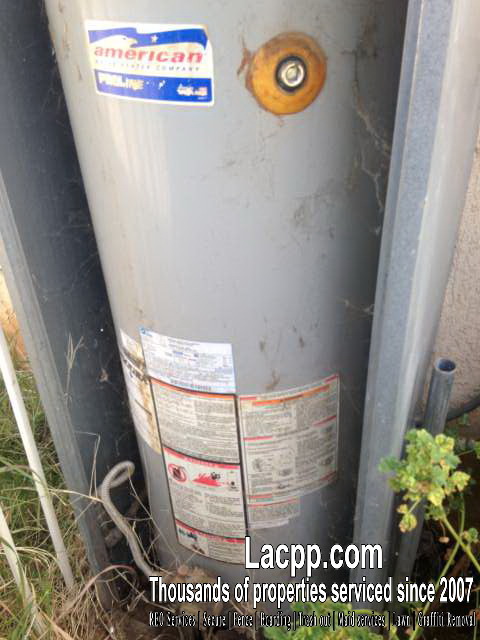 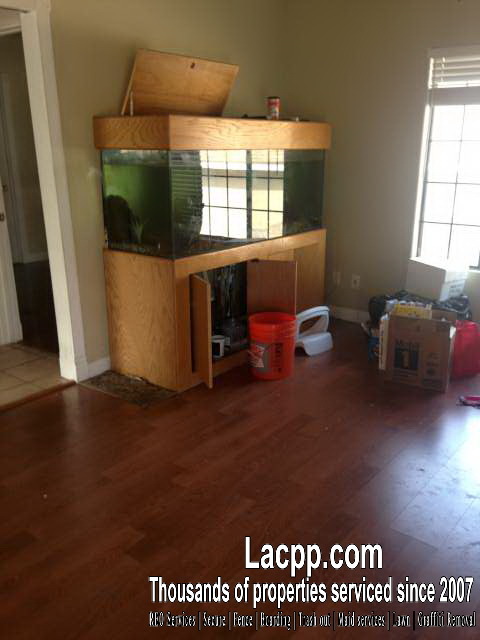 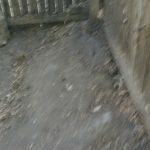 LACPP post all notices from Sheriff Department, no trespassing signs and contact info regarding the real property and personal properties left at the property. 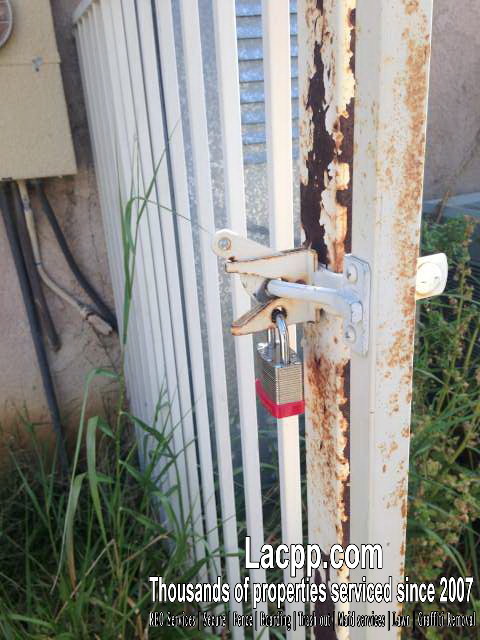 We properly secured the property. 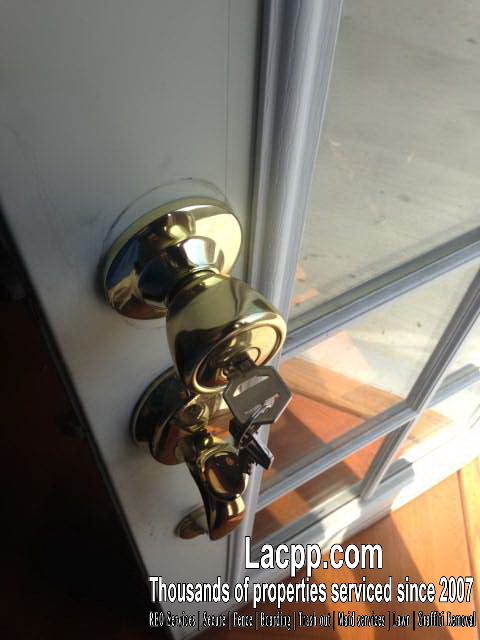 We locked all windows. 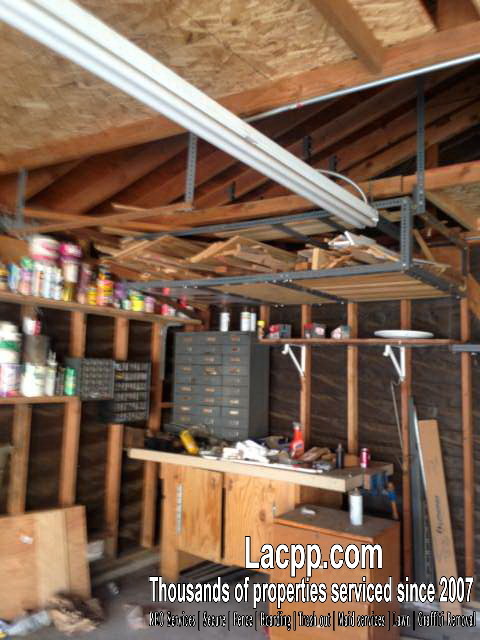 We placed pad locks on the tracks of the overhead garage door. 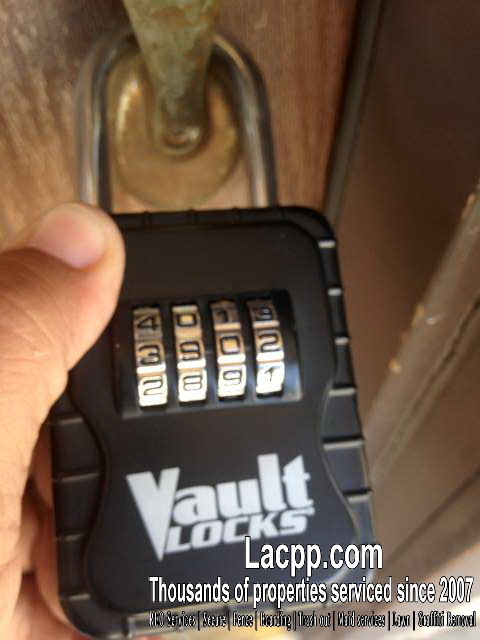 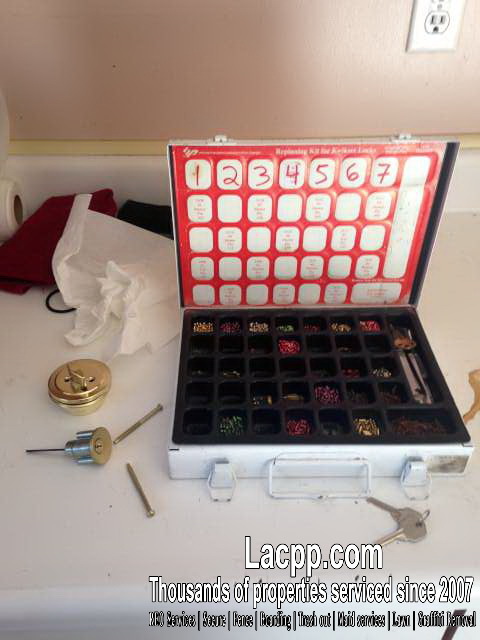 We installed a lockbox with keys to the property. 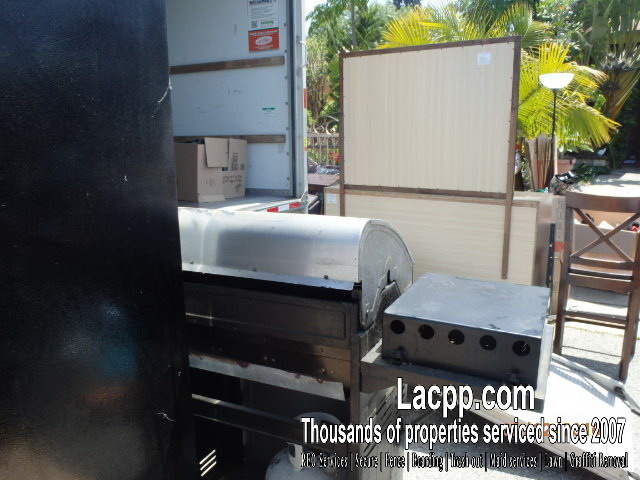 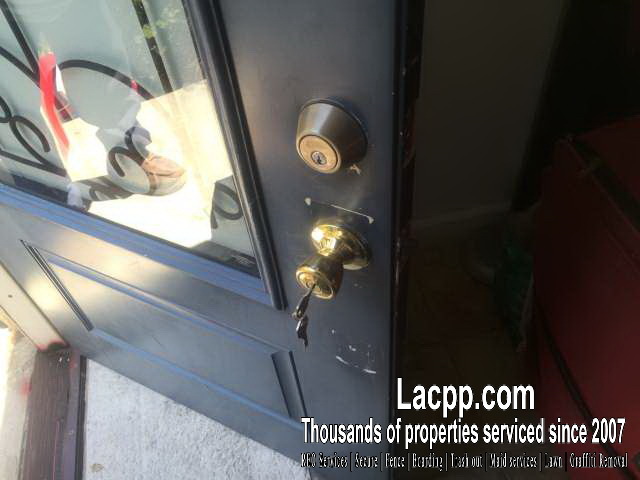 LACPP provide eviction services, securing, fencing, boarding, maid services, trashout, grass cut… for REO property, bank owned property and foreclosure. 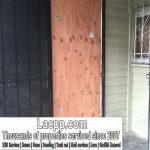 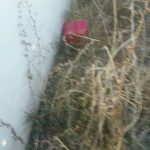 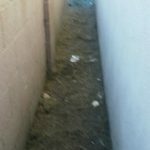 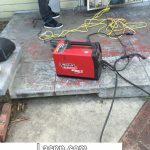 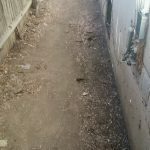 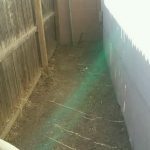 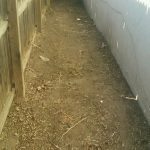 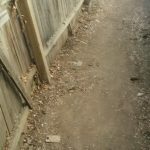 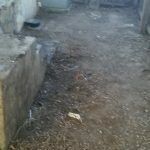 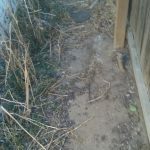 Secure REO properties Los Angeles – what happens if your vacant property is in high crime rate area? 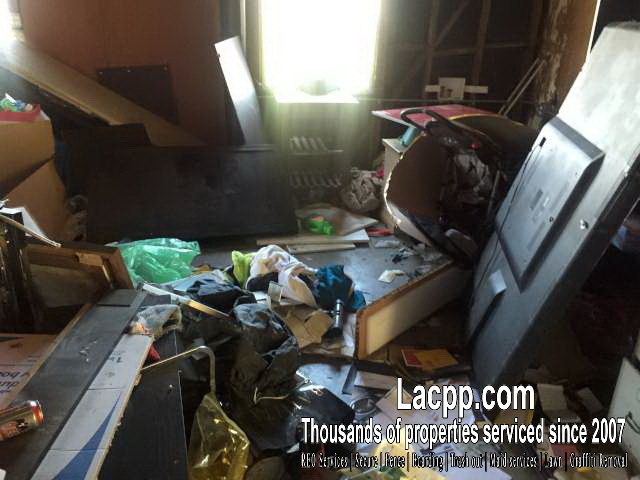 What to to secure REO properties Los Angeles do when you have a vacant property in a high crime rate? 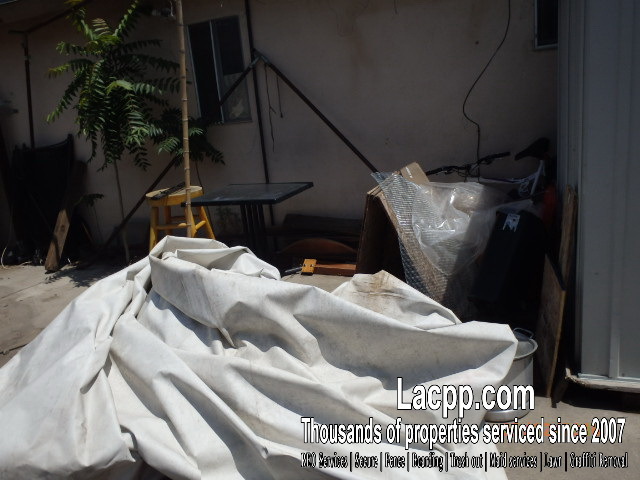 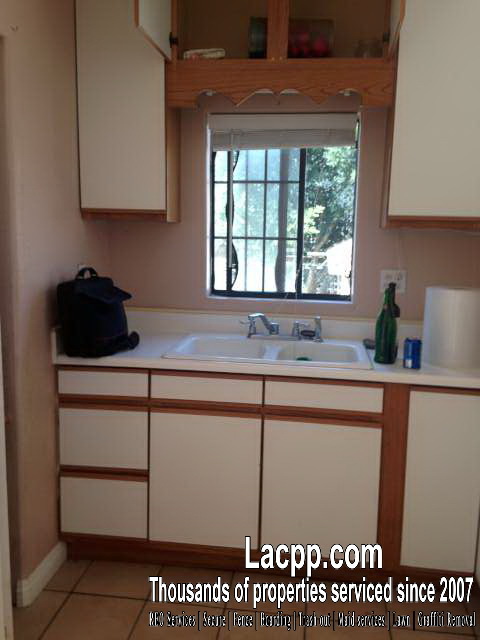 At Los Angeles County Property Preservations, we prioritize the safety of your property. 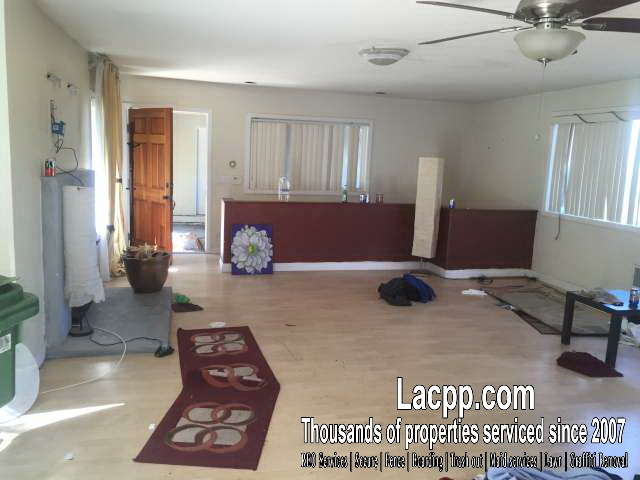 Vacant bank owned, REO properties are big problems for asset companies and loan servicing companies. 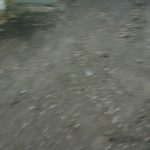 They create enormous expenses and legal fees. 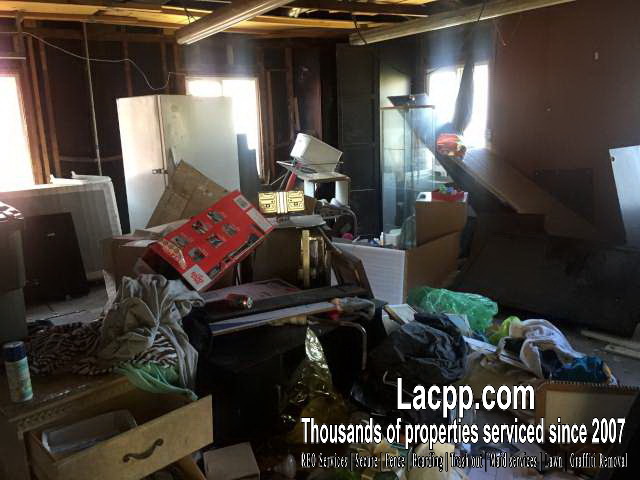 At Los Angeles County Property Preservations, we always advise our clients to secure their REO properties, bank owned or foreclosed properties. 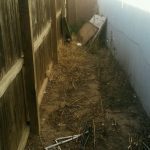 The securing process must be done immediately by a specialized crew to protect your property from trespassers and vandalism. 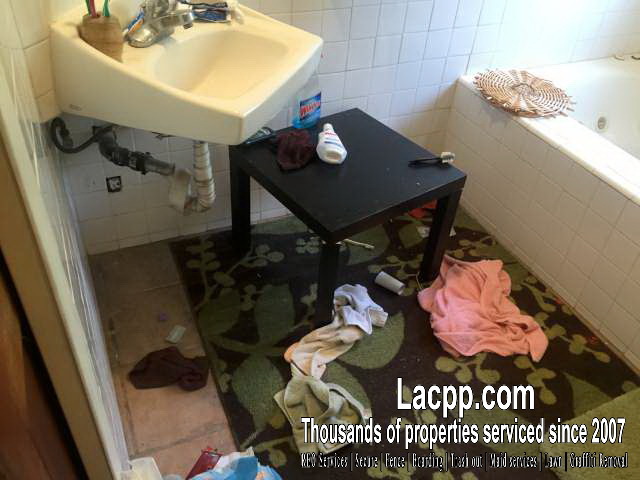 If your property is located in a high crime rate area, your risk and potential damages increase many folds. 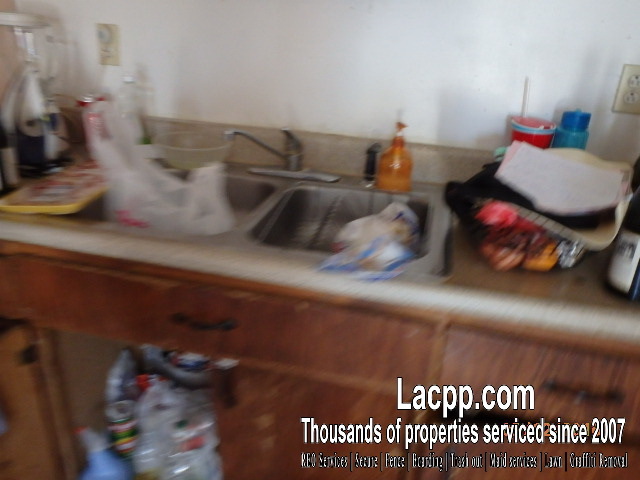 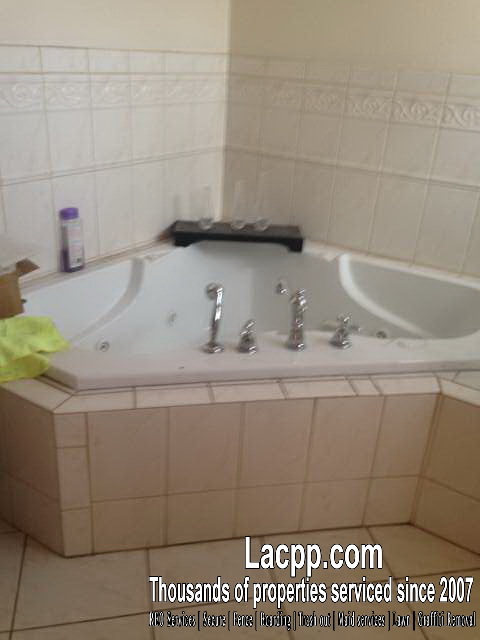 Properties in such hot beds are attractive to the homeless, gang members and other transients. 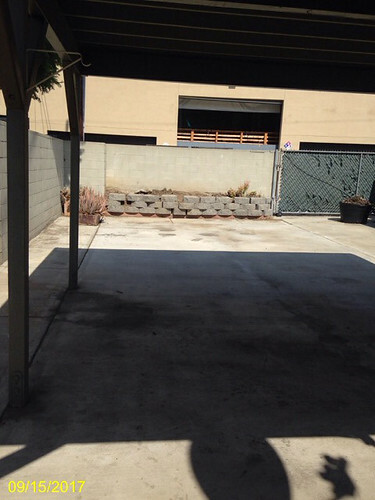 We secured a property on West 66th Street in Los Angeles, between Florence Ave and Gage Ave, East of Vermont. 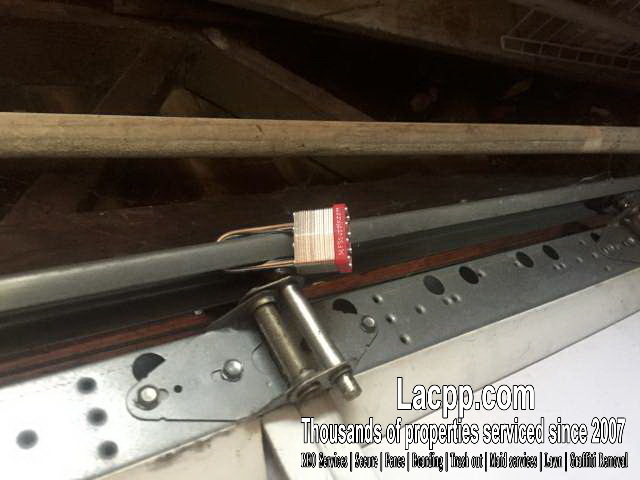 The property was not properly secured, so squatters broke locks and trespass repeatedly. 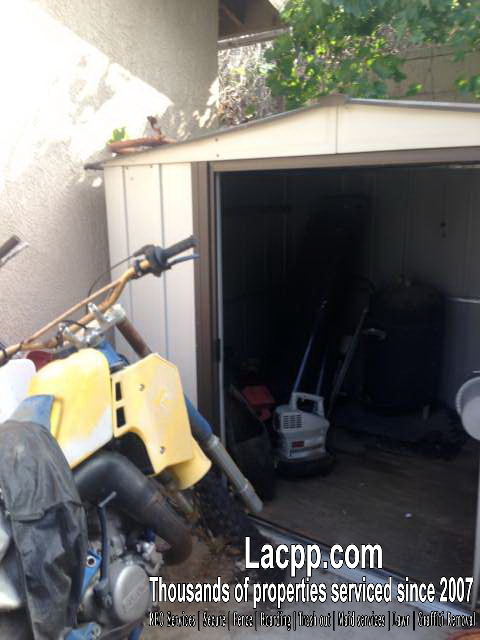 They used the property as a party house and a place to do drugs. 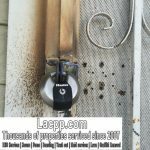 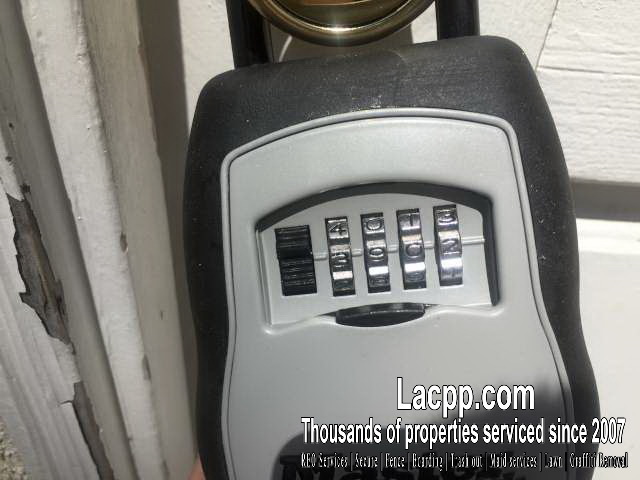 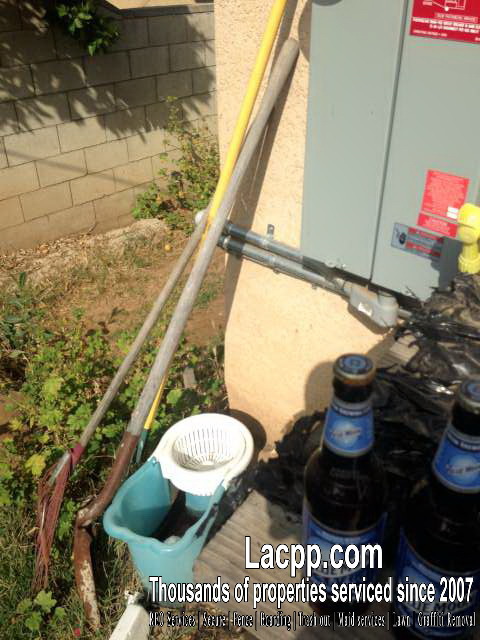 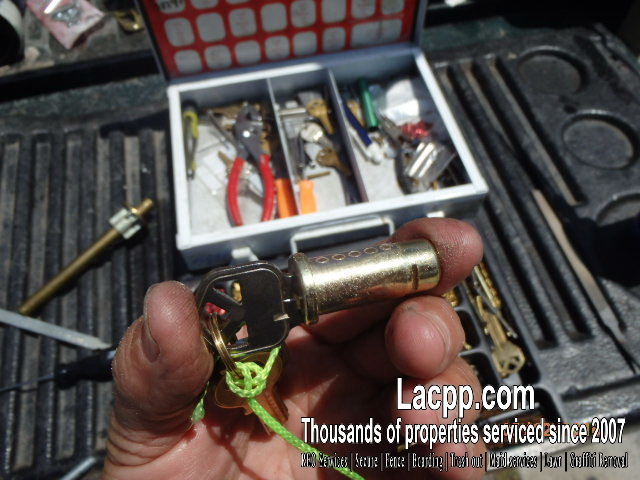 Los Angeles County Property Preservation installed heavy-duty hasps and padlocks to metal doors. 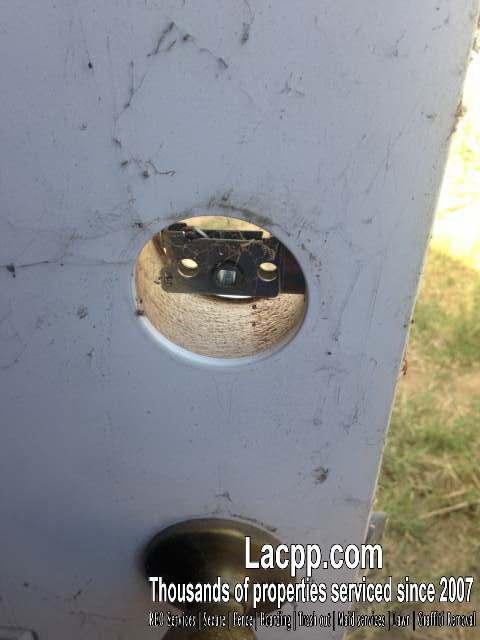 Squatters were no longer able to pry open the locks. 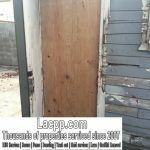 We boarded the rear and side entrance to property with plywood. 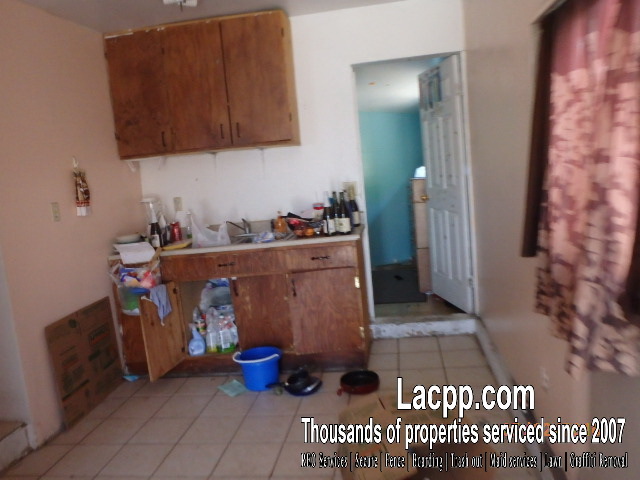 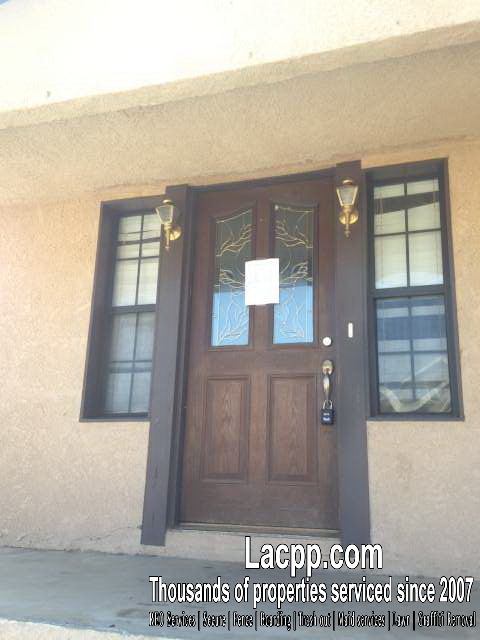 A property off Compton Blvd and Wilmington Ave, Compton CA was in foreclosure. 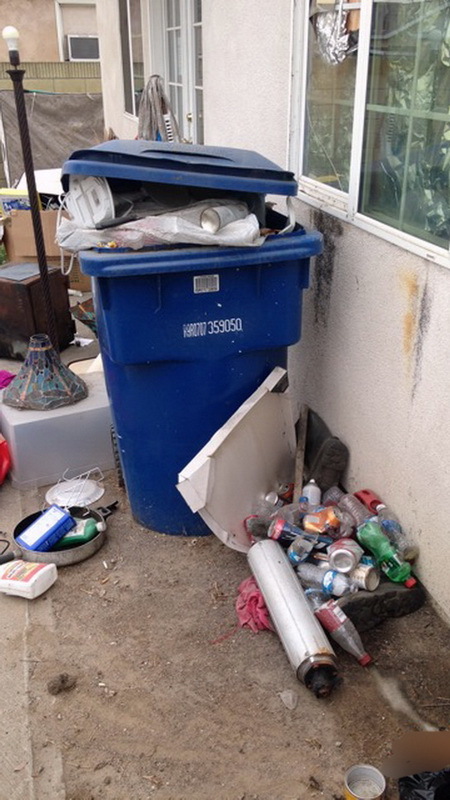 The property owner was evicting the occupants, who retaliated by leaving debris throughout the exterior of the property. 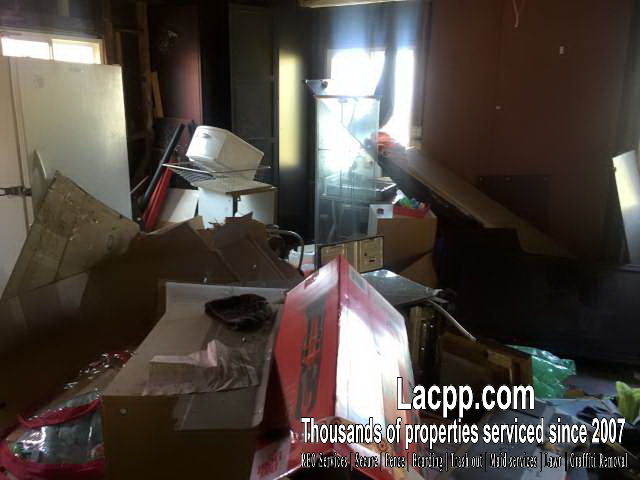 The city of Compton issued a code violation, and intended to fined the asset company, who serviced the owner for this repossessed property, thousands of dollars. 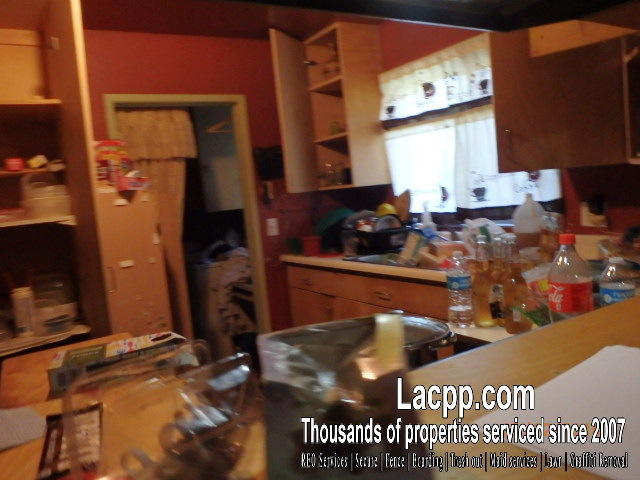 However, the REO listing agent called Los Angeles County Property Preservations. 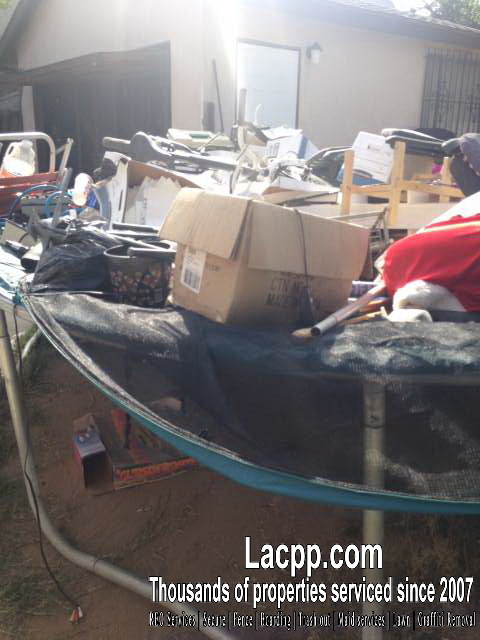 LACPP sent a specialized junk hauling crew to the property. 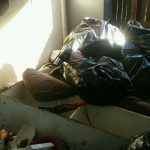 The crew expertly picked up and removed all debris, trash and junk from the properties. 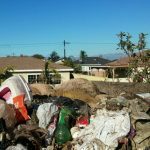 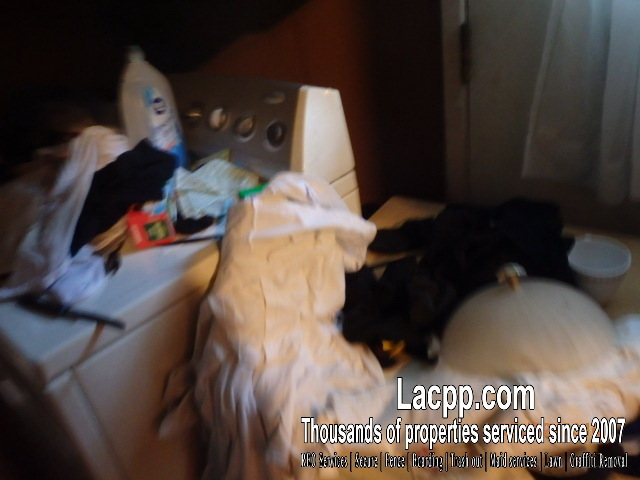 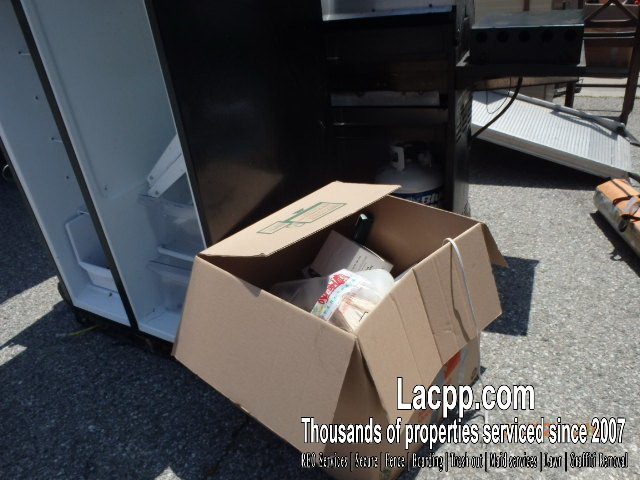 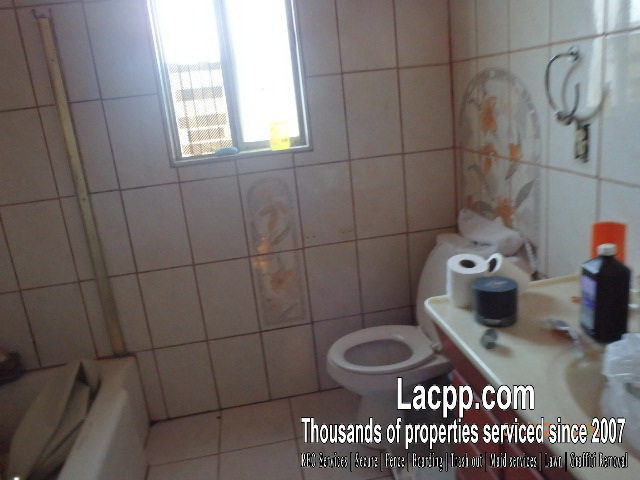 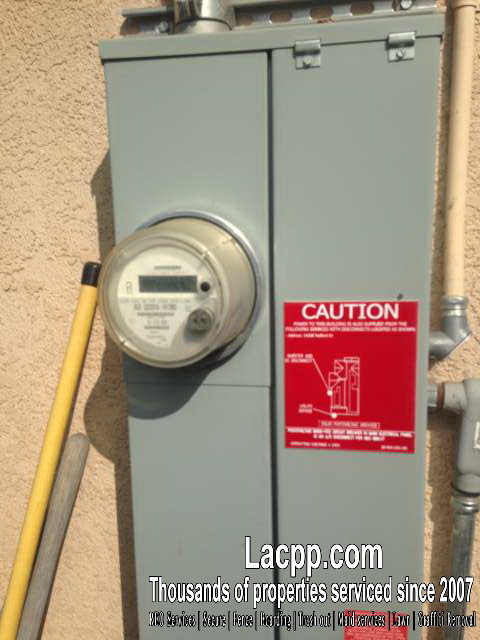 LACPP ensured the property is clean and safe, and saved the asset company thousands of dollars in fines from the city of Compton.